A student led campaign that could save lives. There have been 65 school shootings in 2018 as of October 4, according to CNN. There is no surprise there has been an outcry from students for new safety procedures at LHS. The solution to this issue is a safety campaign called “See Something. Say Something,” inspired by the national Homeland Security campaign. 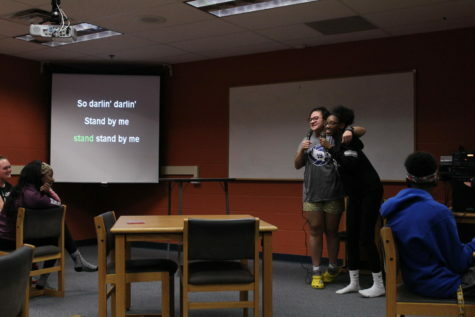 The high school leadership team knew something had to be done when students starting approaching them with concerns about current safety standards. Although students may not have heard much about this campaign now, just wait because starting second semester the Breakfast Club will advertise this campaign using interactive promotions such as raffles, posters, videos and more. The Breakfast Club has decided to take on the big task of pushing this campaign out to students. “One of the many goals for this campaign is to make students more aware of their surroundings, let students know the importance of reporting suspicious activity, and potentially helping and even preventing a dangerous situation,” Breakfast Club Co-chairman junior Jeffery Taylor said. As a club, they chose to steer away from the traditional safety lessons from the past, such as lectures, guest speakers and informative videos. The Breakfast Club wanted to teach students information in an innovative way. Not only is the Breakfast Club striving to solve current and upcoming safety concerns at LHS, but also recurring issues, like bullying. Although there are safety reporting resources provided to students at LHS such as Sprigeo, Breakfast Club Co-chairman Madi Borrum hopes this campaign will be different. 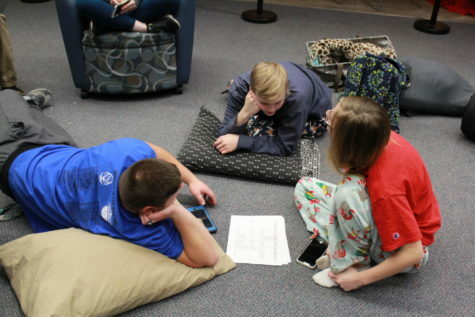 “Instead of simply reporting dangerous activity, this campaign will hopefully support students in their process of making both safe and smart decisions,” senior Madi Borrum said.